An IP address (IP is short for Internet Protocol) is an exclusive address which computing devices (for example, PCs, smart phones and tablets) utilize for self-identification as well as communication with devices within the Internet Protocol network. In fact, any device which is linked with the IP network needs to possess a unique IP address in the network. We can compare an IP address with a phone number or a street address in the way that it is a unique identification of an entity. What is the structure of an IP address? A usual IP address (known as IP version 4) utilizes a 32 bit number which represents the address, defining both the host address as well as the network. This kind of number has the capability to provide about four billion exclusive numbers. Thus, IP version 4 addresses are running out, considering that an increasing number of devices are being linked to the IP network. Thus, there is now a new version of IP protocol (called IPv6) which aims to offer a practically unlimited number of these addresses. An Internet Protocol address is entered in notations called "dotted decimals," which in effect are four sets of numbers which are divided by periods, while every set represents an 8-bit number from 0 to 255. For example, 216.3.128.12 is a good instance of an IP address (formerly given to iplocation.net). Standard home networks utilize Internet Protocol addresses which begin with the numbers 192.168. An IPv4 address consists of two parts: a host address and a network. It is the network address which establishes the 32 bits that are used to make up the network address, as well as the bits which remain for the host address. After that, the host address is divided into a host number and a subnetwork. So how do we go about learning the IP address of the router? As a general rule, routers have an interface which is web-based, which means they are configured to a web browser. 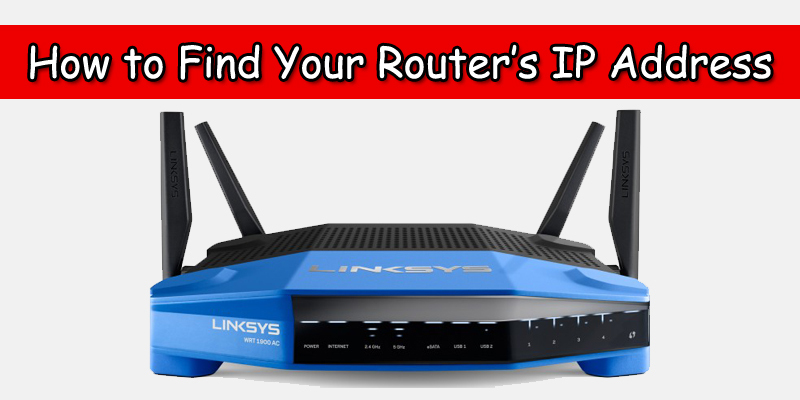 Some routers can be accessed by their name, but the IP address gives access to all of them. In order to have full access to a router, it is necessary to name a user ID and a password. The problem is that to get prompted for using these, the IP address needs to be known. However, if the ISP (short for Internet Service Provider) happens to have installed the router, then the provider known the IP address as well as username/password. However, it is very rare that the ISP will give customers such information. Thus, the IP address can be obtained by way of a self-installed router and the documentation issued by the manufacturer (if it didn’t undergo any changes during the installation). It also happens at times that the address can be found on the label on the router bottom. After the setting up of the network, every device which is on the network has knowledge of the router’s IP address. However, the terminology can be a problem. The devices from Apple call the router a ‘Router.’ Windows calls it the ‘Default Gateway,’ which is an expression that has been borrowed from TCP/IP. On the other hand, Chrome OS calls the router the ‘Gateway.’ Also, with Android you cannot know the router’s IP address unless you install a certain application. How is the router’s IP address found in the Windows system? And what about the iOS system? On both the iOS 9 and the iOS 8, you need to go to the settings, followed by Wi-Fi, and then press the name of the wireless network which you are linked with. The router IP address is called ‘Router’ and it is in the DHCP section.